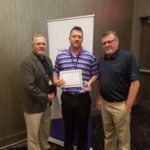 At Leading2Lean, we have the honor of being engaged in the quest for improvement and operational excellence with many leading manufacturers across the world. There’s a lot of talk in our industry about operational excellence, but it’s much more rare to see it in action. We are honored to be able to partner with manufacturers and see firsthand the significant improvements being made. 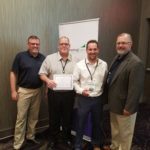 For this purpose, the Leading2Lean Operational Excellence Awards were created, to recognize those who are leading the industry and achieving outstanding results. Our hope is that these awards will also serve as an opportunity for manufacturers to learn best practices and be inspired by those leading the way, and apply those actions for themselves. This way we foster a growing community of exceptional manufacturers achieving excellent results. 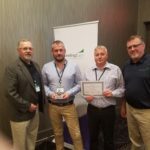 The Operational Excellence award recipients are recognized at the annual Leading2Lean Conference. During the conference, attendees have an opportunity to learn from award winners and hear their success stories. Autoliv’s AOA plant has demonstrated continuous improvements in operational efficiency. Operations that previously were manual have now been successfully digitized and streamlined, increasing the accuracy and usefulness of production data. Autoliv is the world’s largest airbag manufacturer with 39% of the global market share in 2016. Aside from airbags, Autoliv develops and manufactures numerous systems in both the passive safety sector and the active safety sector for the automotive industry worldwide. Autoliv globally implemented CloudDISPATCH, Leading2Lean’s Lean Execution System, in 80+ plants in 27 countries in less than 24 months. West Liberty Foods, based in West Liberty, Iowa, is one of the largest turkey processors in the United States. Executives at West Liberty Foods felt they could improve operations but needed a way to identify and solve inefficiencies stemming from a complex, manual data-entry system and lag time in understanding maintenance issues. After implementing CloudDISPATCH, the company saved $2 million in maintenance costs by tracking where money is being spent on materials and employee time. The company has also reduced employee turnover by 50 percent, achieved 89 percent utilization of its maintenance workforce and improved operational availability in at least one of its plants to 96 percent — an increase of nearly 10 percent. When you click Submit your plant, a submission form will open where you’ll have the opportunity to submit your improvement data and corresponding descriptions. You’ll be prompted to provide data for a period of time of your choosing for each improvement (i.e. 6 months, 12 months, 2 years, etc.) You can provide data illustrating before and after the chosen period of time, and a description of the improvements observed for each of the above improvement areas.